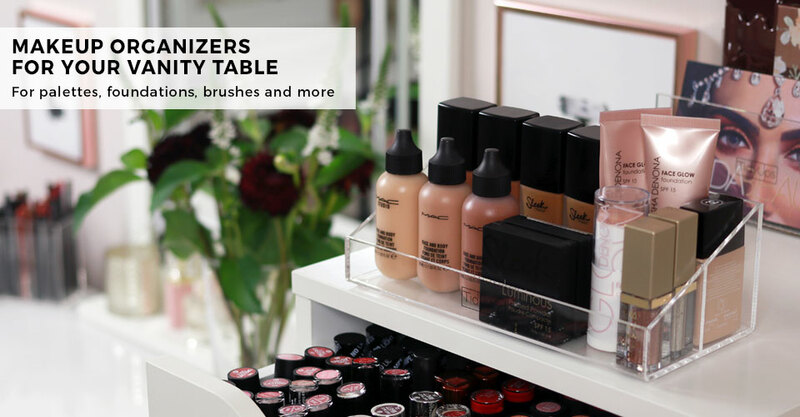 The TidyUps online store offers customizable acrylic boxes for your cosmetic storage, which you can use in a variety of ways. The acrylic boxes have been specifically designed to store compacts, foundations, lipsticks, lip glosses, makeup brushes, eyeshadows, eyeshadow palettes and other cosmetic products. Thanks to removable dividers, you can individually arrange the size of the compartments to create the perfect solution for your personal make-up storage. Rearrange your dressing table with acrylic boxes from TidyUps for a clear arrangement of your cosmetic collection. The acrylic makeup organizers from TidyUps fits into the IKEA ALEX drawer cabinet with five or nine drawers as well as in the IKEA MALM dressing table - storage facilities, which are used by many beauty bloggers, YouTube gurus and make-up artists to store a large makeup and cosmetic collection. 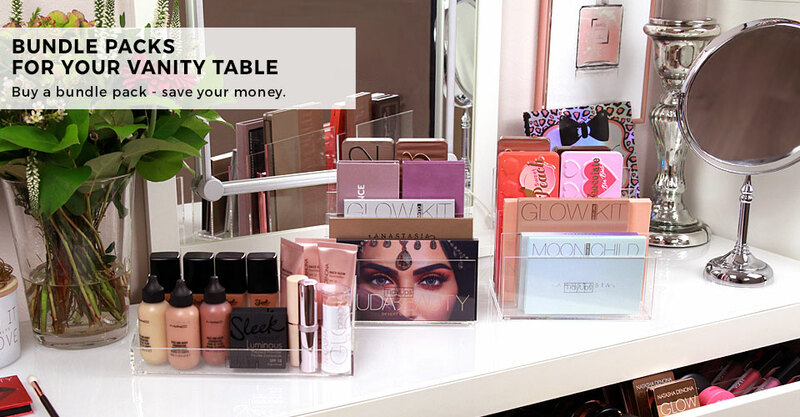 The acrylic makeup organizers are great for storing all your make-up treasures and will help you to put your beauty desk to order and keep track of your cosmetic products. Any cosmetic product can be clearly arranged and stowed away. Due to the very high-quality and its winning design, the TidyUps acrylic boxes do very well on your dressing table and are a real attention-getter. Find the best solution for your make-up and cosmetics storage and order your TidyUps acrylic boxes to store compacts, make-up brushes, lip glosses, eyeshadow palettes, lipsticks, liners and other makeup essentials online at the TidyUps shop. 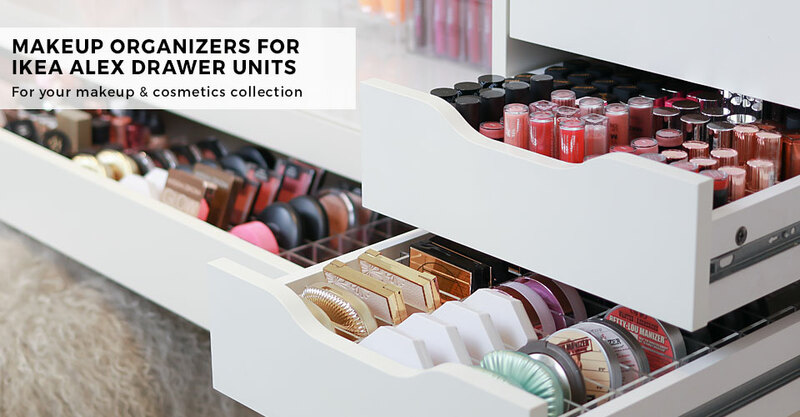 Thanks to the intelligent and thought-through plug-in system of the TidyUps acrylic boxes the compartments can be individually adjusted to your needs and thus are the perfect solution for your cosmetics storage – whether it´s a small or a large make-up and cosmetics collection.